DIY Art Kits — Hazel - Art. Bar. Community. Our DIY Art Kits are great for a girls' night out or a fun afternoon with friends. Our kits are fun, easy, and produce lovely pieces of finished artwork when you're complete! The ideal starter kit for beginners looking to try their hand at wire sculpture or a great gift for anyone who enjoys crafting. 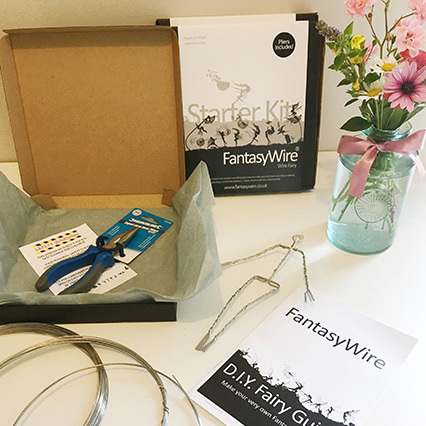 This kit gives you the chance to make your own wire sculpture, it contains everything you need to have a go at making your own 8 inch wire fairy sculpture. You can sculpt your fairy into any pose that you wish using this kit, there is NOT a different kit for each fairy pose. 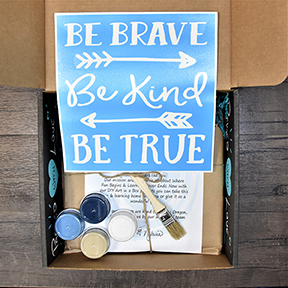 Included in this wood sign painting kit is your wood sign base, the stencil with your saying and three/four suggested colors of paint. See the images below to see the kits that we are offering at this time. Also included are 2 sponges and 1 paint brush along with a complimentary paper mat. 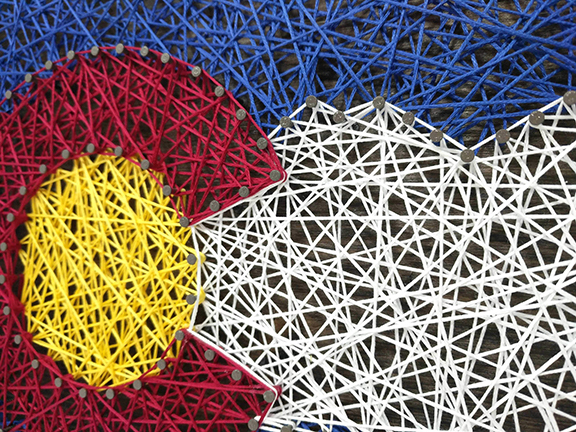 All the necessary components to create your wood sign masterpiece. The string art kits come with everything you need - no tools required, so put down that hammer - and perhaps pick up a glass of wine instead.